Ok i was able to tighten a little the timings. This timing is stable and rock solid with 1.42v. I tested with tm5 with configuration v2 and modified for 20 cycles. tested multiple times. Tested also on game very CPU bound, like BFV and is rock solid. The CPU is solid, with that voltage it is stable with 4.25 but for now i put 4.225 just for testing ram. By The Way is impossibile for me to go further. 3533 or 3600, or up, makes some errors. -Tried Different Trfc like 333, or 380, nothing. -Tried also 14-14-14-30-44. And 15-15-15-15-32-48. -Tried also Gear down Enable, and Tried to set up to 1.48v on Ram Voltage. -Tried to set different RTT NOM , like disable and RZQ/7. Tried also some RTT PARK From /5 to /3(80). -And yes.... tried also with CPU at Stock Freq. All this attempt failed to stabilize anything over 3466. Any idea about enything else i can try? Is possible that is the motherboard, Asrock Taichi, limit? But rather the problem is different, the T-topology of the motherboard always has a mediocre overclocking. Most timings are far from mine recommendation. I don't know what to expect from your option. Last edited by 1usmus; 03-19-2019 at 01:46 AM. You need to first settle which RZQ values are "best" and the same with procODT. You find some stable settings and then push those up and down to see if it's better or worse for stability and note it down until you find the "perfect" combo. (RZQ/7, RZQ/3, RZQ/1) <--- the most "universal" setting I've found stable 99% though there are alternatives to it depending on mobo/ram/cpu combos. It's easy enough to start with. I didn't see if you had gen1 ryzen or gen 2 ryzen but above 3466Mhz on the Gigabyte I had with my gen1 Ryzen 7 1700 I had to start increasing SoC voltage quite significantly to gain better RAM speeds to stabilize/boot. These were not small increases but large and "over the limit" what is considered safe from if you ask anybody else here or elsewhere on the net. I fully know gen 2 2000 series doesn't need as much but I don't see people try to push voltage higher to eliminate that prospect. It's fine granularity changing. Not every step of voltage behaves the same and might need adjustments elsewhere to stabilize, and some voltage ranges aren't stable at all. This Biostar is impossible though in comparison with same cpu/ram. I'm missing all the settings I want to tweak to see if I can get it to work. (3200Mhz is max on it to even boot properly) Though it has better characteristics otherwise but so much more finicky with what it accepts. Boot process is really sensitive to any instabilities and will reset if so to any large degree. Gigabyte just pushed trough the instabilities and let me into Windows and corrupt stuff over and over until I fixed the correct settings to stabilize for stability. Memory timings are "trivial" as if you don't have them to low for your current speed and voltage it's nothing compared to try set the other settings correct for any combination of timings to work without errors. Did not realize that was added with Pinnacle Ridge, which is cool. I'm still on a first gen 1950X. But, that addressed the first point. With UCLK, it still is tied between the MCLK and UCLK, the difference here is the selection of the divisor used. So separate from the sync and async capabilities, the UCLK setting deals specifically with just the divisor. AMD has already announced that IF, which acts like an uncore, will have double the bandwidth with Zen 2. Aside from other changes that may have occurred to IF, along with the UMC, etc., the easiest way to double bandwidth would be to double the clockspeed. If not adding an independent clock gen for that, and redesigning all of what you mentioned, you could leave them tied together and just change the divisor to what was even capable on first gen Zen in debug mode (obviously, there may have been stability issues with the first gen or two using a 1:1 divisor for the relationship between those components, which is why 2:1 was used in the final products, something that seems resolved with Zen 2). And I'm not saying it was trivial solving the issue, to be clear, rather that it is the most obvious way to approach the issue. So, as you said, adding in IF between the I/O die housing the UMC and the core chiplets means latency will go up due to having to transverse the IF to get to the UMC. If you are leaving the UMC MCLK and UCLK tied, then changing the divisor would double the speed of the IF, but more importantly lower the latency with the increase in speed. It is like keeping the latency timing the same, but instead of using 1600MHz, you use 3200MHz, so that the real life latency in ns is reduced a fair amount. This is what I believe the setting for UCLK is referring to, the divisor that set IF to half the speed of the memory, which changing that divisor changes the ratio, thereby allowing for the increase in speed, which translates to bandwidth and lower latency. For this, I am relying specifically on the selection 3 under XFR enhancements, where (3)(b) would be 1:1 for UCLK to MEMCLK, and where (3)(c) would set it to a 1:2 ratio, which is what was used on Zen 1 and Zen+. This would leave them being tied together intact, instead just changing one factor in the relationship of how they are tied together. As such, the UCLK would be defining the MEM/IF relationship separate from the sync and async related to core clock and other clocks that would be effected. Does that make more sense why I see the UCLK divisor as separate from your explanation of the sync and async relationship of clocks? While looking through a couple other forums, I've seen comments denigrating IF due to its speed being slower than the ringbus on Intel or Mesh on Intel chips. Frequency is NOT what matters, although it points to two factors that do matter: (1) bandwidth, and (2) latency. Bandwidth is what determines how much data can pass over the connection in a given period of time (where we get Gbps in relation to ethernet, etc.). Each fabric used has a different amount that it is able to transfer, so that speed will effect the bandwidth the fabric carries, but the bandwidth is what is important, not the speed. It doesn't matter what speed is run if the amount of data between the two is equal, which leads to latency then being what helps determine which is faster if the bandwidth is equal. A good example of this principle is looking at HBM2 vs GDDR. GDDR uses a smaller bus interface, but clocks really fast. HBM2 has a very wide data bus, but runs at much slower speeds. This means that you can get the same amount of bandwidth from each tech, but the frequency each runs on is very different. Because of this, the impact of latency is then considered. Not going to dive in too deep there, but wanted to show that simplistically looking at frequency alone does not necessarily give an idea on how something functions. 2) The internal interfaces are designed for specific frequencies and have certain signal / noise tolerances. At the moment, I'm afraid to predict something because the limiting IF frequency in UCLK mode == MEMCLK may limit the overclocking of RAM. Accordingly, we will lose memory bandwidth and delays will worsen. In this case, we will not have enough two memory channels even for a single-chip configuration. But the width of the interface, as you wrote above at identical frequencies, will not bring an improvement in the delays, because fine tuning timings will remain. Last edited by 1usmus; 03-19-2019 at 02:54 AM. That really clears up what I have been finding with Zen. Bandwith and latency between CPU and RAM is really hard to pin point optimal settings. Before to re-test with CPU overclocking, i always test the ram stability, with cpu at stock clock. Only when i passed some tm5, i apply the overclock on CPU. BTW what is very different in this timing from your raccomandation? Last edited by Markz; 03-19-2019 at 06:30 AM. Did you play around with the DrvStr values at above speeds? I found often you could play with them a little at higher and "edge" settings for some extra stability. But you often needed diffrent DrvStr values for each voltage/other settings. 20/24 usually works most of the time but at times you could get better results with higher values. 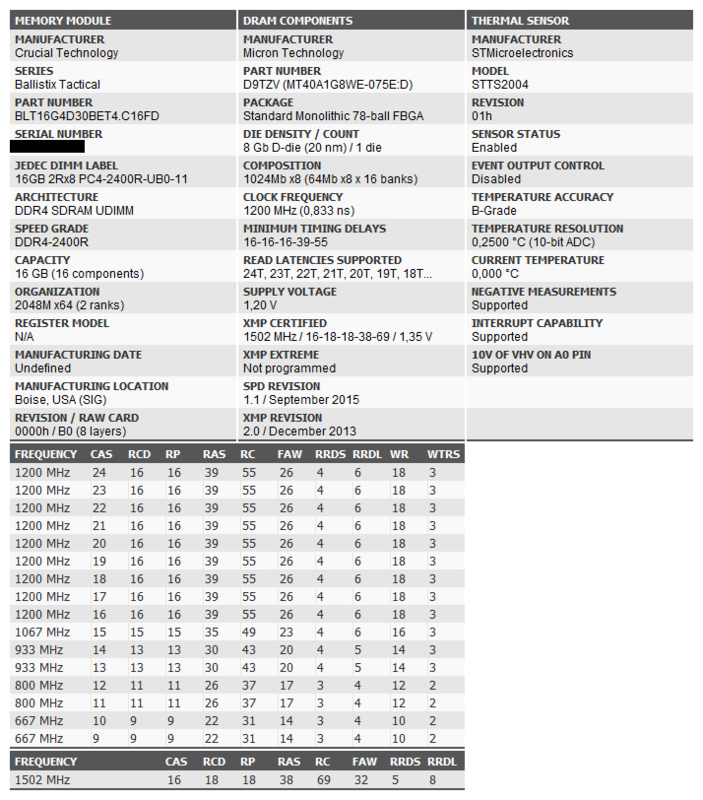 But I found this mostly apply to the earliest BIOS with older AGESA, new Agesa usually worked with close to stock/AUTO or 20/20/20/20, 24/24/24/24. New BIOS usually didn't need the 60/40Ohm combinations I used at the old AGESA versions. I can mention 20/20/20/20 usually wasn't optimal. 24/20/24/24 or 20/20/20/24 <-- was kinda what worked best last I tried. There can be had stability with tweaking AddrCmdSetup, CsOdtSetup, CkeSetup. Those were what enabled me going above 3600Mhz and get stable results on my Gigabyte for 3733Mhz stock/auto worked up to 3600Mhz but after they needed tuning. Last edited by Nighthog; 03-19-2019 at 07:00 AM. Sorry if this message is not correctly write here. 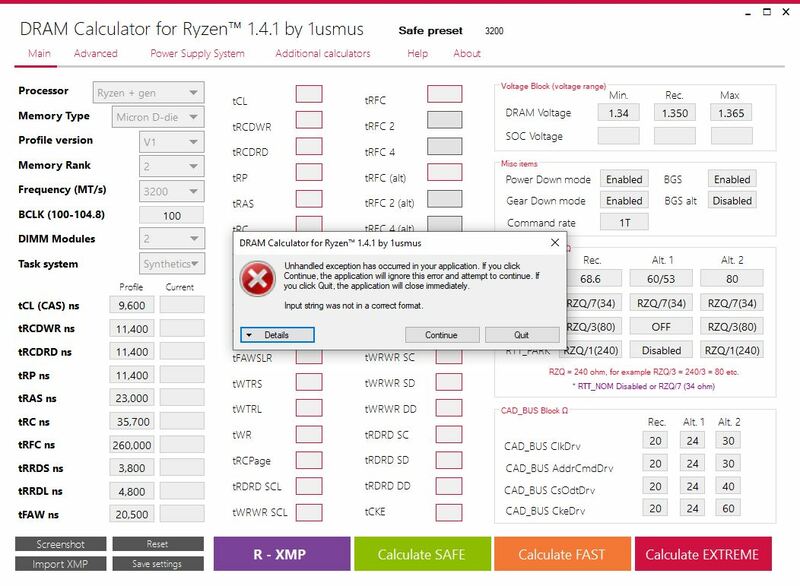 I have problems when DRAM Calculator. This suggests that there are non-trivial improvements to the Infinity Fabric for implementation, where the bandwidth supported doubled. Now, pointed out in this quote is that they assume the same number of differential pairs exist as compared to first generation for part of their calculations. So, moving forward, I'm using publicly available data for discussing what may come in the future generation, not current generation, chips. 1) There is a voltage/power issue with infinity fabric. I cannot find the source at the moment, but someone did an analysis of power draw of the data fabric relative to package power and estimate core power to show that the data fabric is a large power hog. In addition to voltage and power, that also means that the data fabric will contribute to the heat on the chip and eat into the TDP, depending on how calculated, meaning keeping it cool is another issue that needs considered. In arguendo, that means that if they accomplished doubling the bandwidth by doubling the speed through changing the ratio so that IF2 can run at the same speed of the DDR, rather than using the divisor of 2, there are still questions on how the reduction of power was accomplished and the heat levels generated by the data fabric. This means they may have found a way around the effective cap that you mentioned. But the point on limiting memory overclock is still valid (more on that in a moment). 2) This is true, it is designed for certain frequencies and signal to noise ratios. In fact, in light of discussing point one, I mentioned that IF gen 1 was a power hog, which then translates into heat. Heat can effect the signal to noise ratios in specific scenarios, as thermal radiation can degrade and decay the signal integrity of the data. 3) Great point. And this suggests to implement this with Zen 2, AMD would have had to address those areas in the design and testing phase to allow for a 1:1 setting, where current gen CPUs could not accomplish that, whether it be the cache or timings that were implemented for a 1:2 ratio to optimize that setting or the power requirements or the signal integrity. They may even have it so that when the divisor is changed, it automatically switches to a pre-determined set of timings and settings for the UMC to allow for it to work (like slightly loosening timings due to the speed being higher, which the lower timings would be too aggressive at the higher speed). As we both have mentioned in this discussion, if AMD were to achieve double the frequency and bandwidth with the IF gen 2, it would not be a trivial undertaking. There are many notable changes that would need made, and would be an impressive evolving of the data fabric. 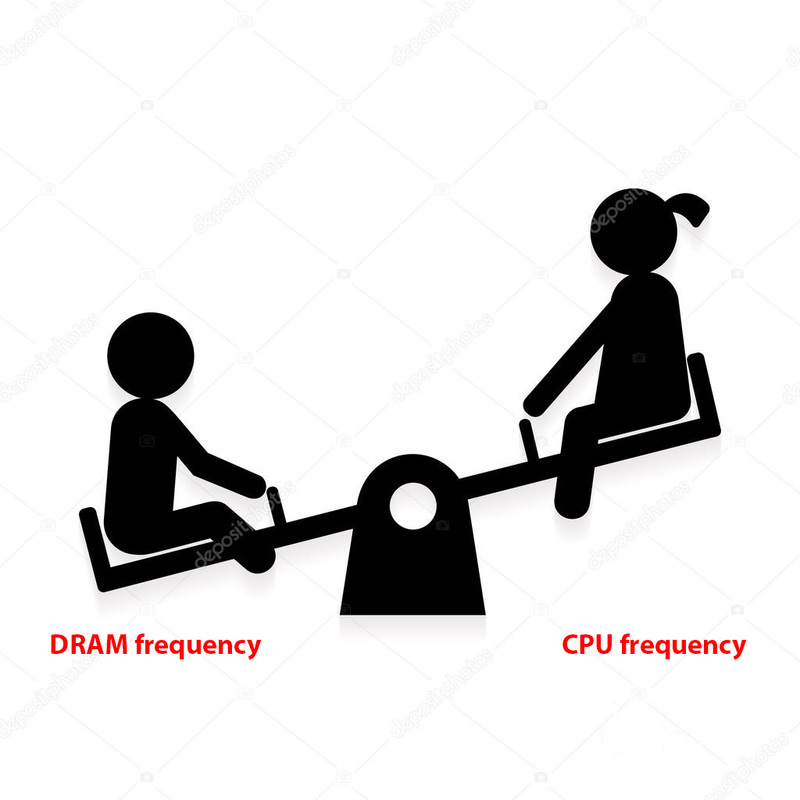 Even if accomplished, your point is still valid that by using UCLK == MCLK could limit memory frequencies, thereby limiting the ram overclock which loses bandwidth and increases latency. Let's say that the rumor is true that the officially supported memory speed increases to 3200MHz, something rumored awhile ago, but that no new information or speculation on this front has been given for 3-5 months. If the IF2 has been tuned to support in 1:1 mode 3200MHz, then it may not allow too much speed beyond this. That could leave low 3000MHz speeds as necessary to use 1:1 mode, where higher frequencies would not be possible. Now, AMD, by moving the memory controller to the I/O die, should be able to bin the performance of the memory controller and I/O die overall. That can help to achieve the higher official memory speed. But, that also means that, in certain scenarios, like mainstream chips with dual channel memory support which requires less bandwidth than potentially that of Threadripper or Epyc, it may be more beneficial to use 1:2 mode to allow the memory to hit high 3000 to 4000MHz on the binned I/O dies, as the benefits of using 1:1 may not scale, while also reducing the frequency selected, thereby effecting memory bandwidth and latency. It would also increase the power draw, causing more heat, etc. On the other hand, for Threadripper and Epyc users, with quad channel and octochannel memory configurations, achieving higher speeds is a bit more difficult, and they have more potential memory bandwidth than the mainstream CPUs. I would argue this is where the true benefit of a 1:1 setting would lie. C) when overclocking with the new processors, if the above changes were made to allow lower power draw and higher frequencies, a person may want to explore the trade offs of using 1:1 vs 1:2 relative to the stable function of memory and IF, in the event that memory overclocking is able to achieve higher frequencies due to binning of I/O dies. So I must admit, I have numerous embedded assumptions about what would have had to have taken place for this to be achievable on Zen 2. It also shows why the function of data fabric is important, and why Intel and Nvidia are bidding for the purchase of Mellanox for their IP. Sorry if I missed something. Just waking up with my morning coffee, so forgive if my morning cloudiness effected some element of this discussion. If nothing else, this shows how much we still don't know about the upcoming platform. And I'm looking forward to seeing that article! 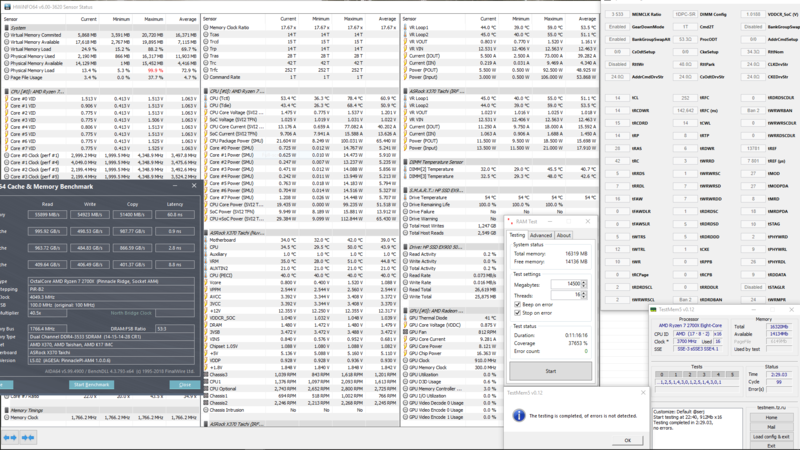 @1usmus , have you noticed different memory stable timings when using SATA and M.2 PCI-X SSD? I noticed that my old stable timings with SATA SSD were not stable when change to M.2 SSD, Needing to change some to get 3466mhz stable. Last edited by numlock66; 03-19-2019 at 06:43 PM.